Scroll below to view DOWNTOWN homes for sale. Downtown Atlanta is the central business district of Atlanta, Georgia. 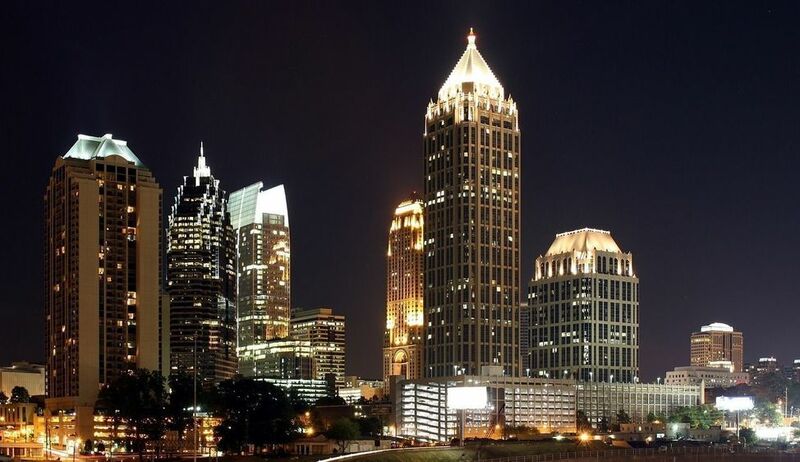 The largest of the city's three commercial districts, welcome to the home of many corporate and regional headquarters; city, county, state and federal government facilities; Georgia State University; sports arenas; and many of Atlanta's tourist attractions. The area measures approximately four square miles. Like other central business districts in the U.S., the neighborhood has recently undergone a transformation that included the construction of new condos and lofts, renovation of historic buildings, and arrival of new residents and businesses. Downtown is bound by North Avenue to the north, Boulevard to the east, Interstate 20 to the south, and Northside Drive to the west. This definition neighborhood includes central areas like Five Points, the Hotel District and Fairlie-Poplar and outlying inner city neighborhoods such as SoNo and Castleberry Hill. The 1996 Olympic Games, along with the transformation of Georgia State University from a commuter school to a traditional college, initiated a resurgence that continues today. They resulted in Centennial Olympic Park, which was built as a physical memorial to the games in the former industrial area west of Five Points. In the following decade, Centennial Olympic Park spurred the creation of a tourist district anchored by the World of Coca-Cola, the Georgia Aquarium, the CNN Center, the Center for Civil and Human Rights, and the College Football Hall of Fame. Following the 1996 games, Georgia State University president Carl Patton, an urban planner, initiated a University-led transformation of the area that sought to make Georgia State "a part of the city, not apart from the city." Dubbed the Main Street Master Plan, Patton's vision has been executed through billions of dollars of urban construction, boosting the economy and population. Looking to buy or sell a home downtown?